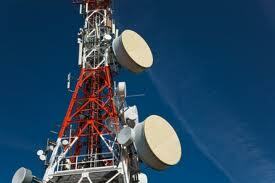 Here I mentioned some of the dreadful effects caused by telecom towers situated in areas. Raman KR, a scientist who did research on this subject. Two types of effect caused by this. Thermal and non-thermal effects. Reduced mental concentrations. This due to the amount of heat generated by these radiations. Cause ill-effect due to cell membrane permeability. Peoples who are living near towers should test their houses for radiations. And use anti radiation devices to prevent diseases.